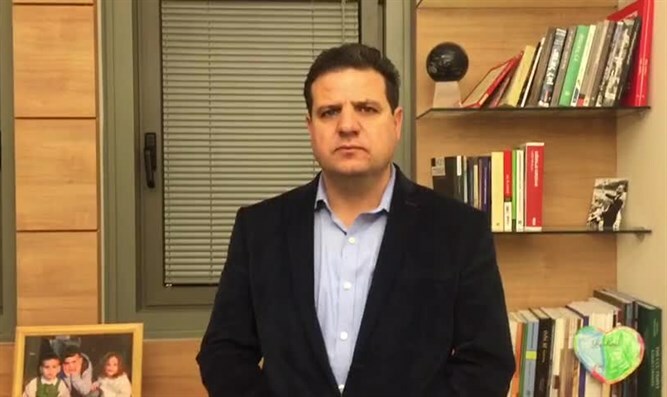 Joint Arab List head Ayman Odeh referred to the charges levelled against his fellow Arab MK Basel Ghattas, and said that the charges are very serious and ought to be investigated by police and not by MKs holding a kangaroo court. "Every man is innocent until proven guilty and therefore the attempts to sentence him before he has been found guilty are wrong," said Odeh. He added that "we denounce the cynical and ugly attempt to utilize the incident to incite against the entire Arab population and to harm the rights and immunity of members of Knesset. We are conducting a just struggle through democratic and legitimate means and this is what we will continue to do," he concluded.